This project combines mathematical skills and research skills. 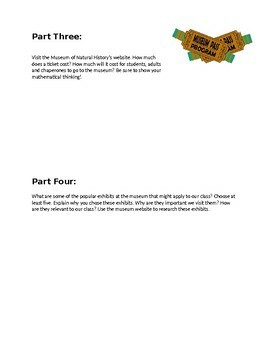 This project can also we adapted for your local/preferred museum or even subject matter specific. 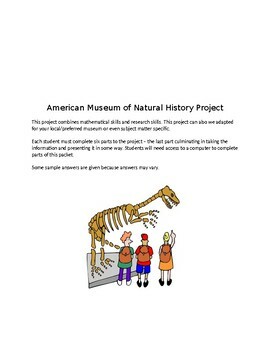 This project is focused around the American Museum of Natural History. Each student must complete six parts to the project – the last part culminating in taking the information and presenting it in some way. Students will need access to a computer to complete parts of this packet. Some sample answers are given because answers may vary.